When the hair loss is at its peak level, you cannot reduce the adverse effects of male pattern baldness. Hair loss has two main types: temporary and permanent and both of the types can be treated with the help of a capable and skilled Best hair transplant surgeon in India. However, permanent hair loss is more severe and need a serious consideration immediately. You may think that you can treat your baldness by your own efforts but it is only an illusion because hair loss is a complex disease and the diagnosis and treatment is not so easy without a clinic or surgeon. Why do the patients need a clinic? First of all, a clinic is essential for the treatment of hair loss since you do not know anything about your disease. You do not know it is permanent or temporary. Moreover, you do not know about the best options you may have for the treatment. Thus, who would tell you about the root cause of the disease and possible treatment? Certainly, a hair restoration clinic would help you handle the situation. Furthermore, visiting a clinic keeps you away from all of the worries and the clinic is responsible for assembling all the tools and techniques for the treatments. If you are convinced that you need a clinic for the treatment of baldness, we want to add something to this information. In fact, you need to visit an authentic clinic that is affordable and offers high-quality treatments. If you are curious to know the reasons, you may read below. Authentic hair loss clinics have all the facilities that are used in most of the advanced clinic and they have a team of qualified and experienced hair loss experts. The treatment is in these clinics is affordable and the surgeon performs the surgery with ultimate artistic skills. Thus, a valid certificate, experience, enthusiasm, and expertise make a clinic authentic. The services of an authentic clinic depend on the surgeon so you have to be sure about the skills of the surgeon as well. You surgeon is going to guide you till the end of the treatment. Therefore, it is essential to be familiar with the main role of the surgeon. First of all, the surgeon has to be certified to perform the surgeon and experience is the most required factor for the success of the treatment. If you wish to have a successful treatment, a skilled surgeon is the first condition you should fulfill and you can do so very easily by visiting the Avenues clinic. 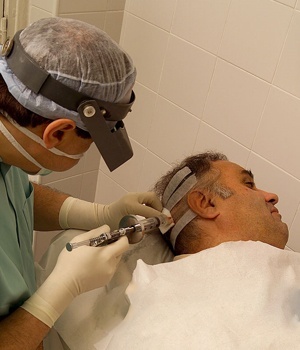 Dr. kinnar Kapadia is a Board-certified hair transplant surgeon who is active in the field for hair restoration with a clear objective of providing high-class treatments. He is very successful in his approach because of his talent and skills. Moreover, he is always zealous to enhance his knowledge by attending various seminars or workshops. Recently, he has recognized by “time health icons” hospital survey for top hospitals in Ahmedabad and Surat. Dr. Kinnar Kapadia got the first award for the category of hair transplant and this fact is enough to show the level of the Avenues clinic. If you are going to undergo the hair transplant surgery, the Avenues hair clinic in Ahmedabad should be the first choice for you because of the high success rate and affordability.